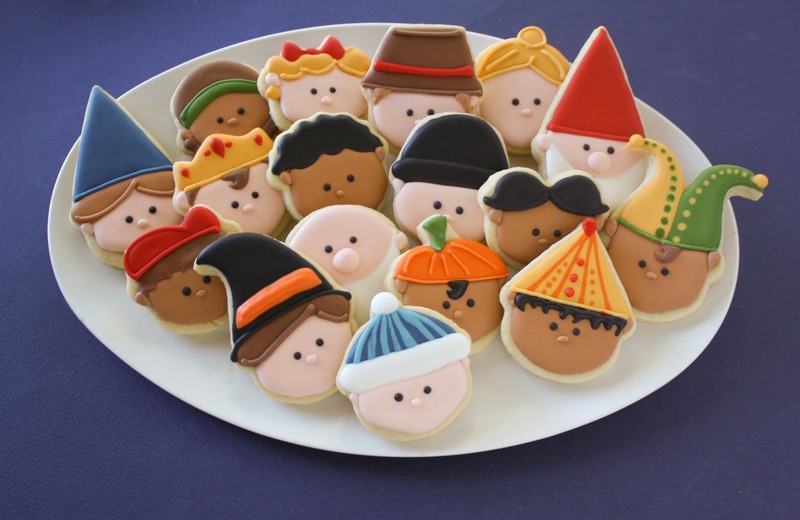 I have to admit that I am not a very big fan of hand cutting cookies. 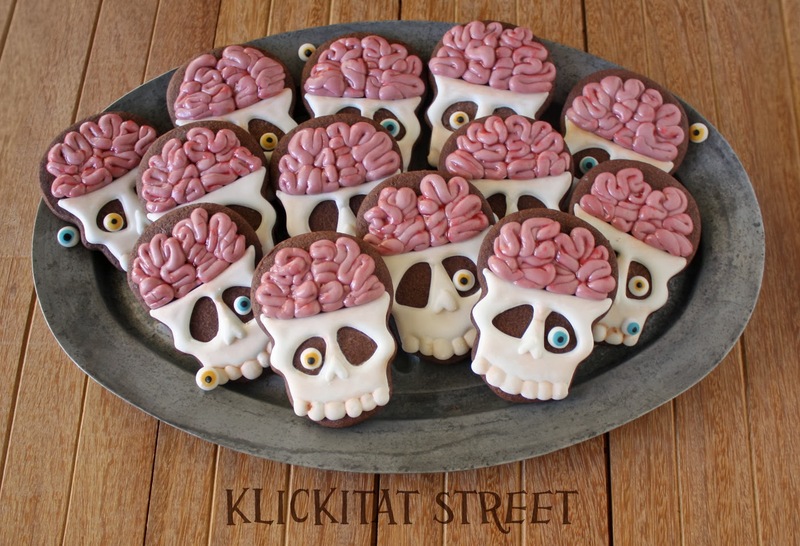 I don't seem to have the knack for it so if I can get a cookie cutter to do the job than I'm that much happier. 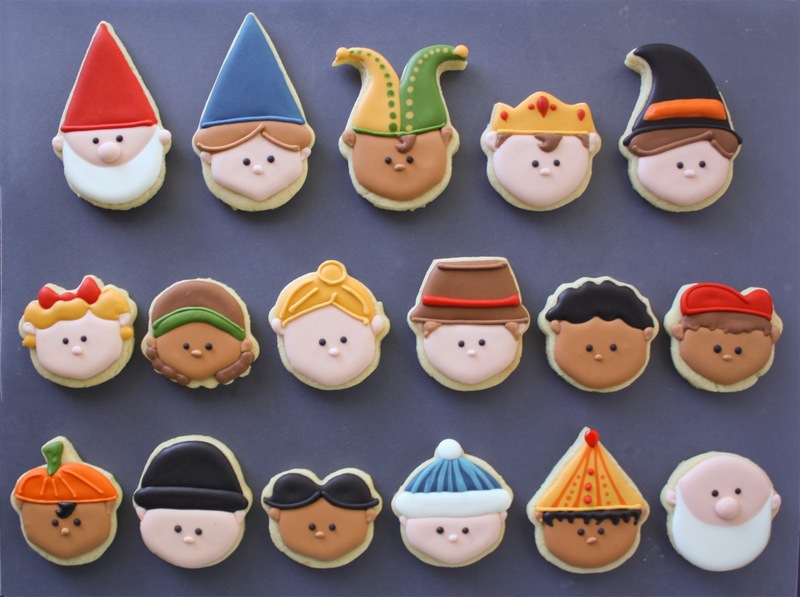 All of these faces started with just one cookie cutter and then I used a cutter here and a cutter there to create a myriad of fun party hats and hairstyles. 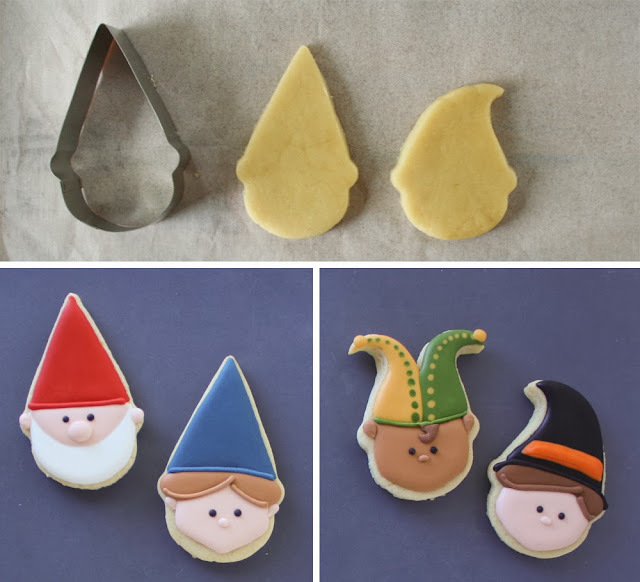 These little guys were made with a gnome cookie cutter I designed. I gave him this large hat so it could be cut in many different ways to make different characters. 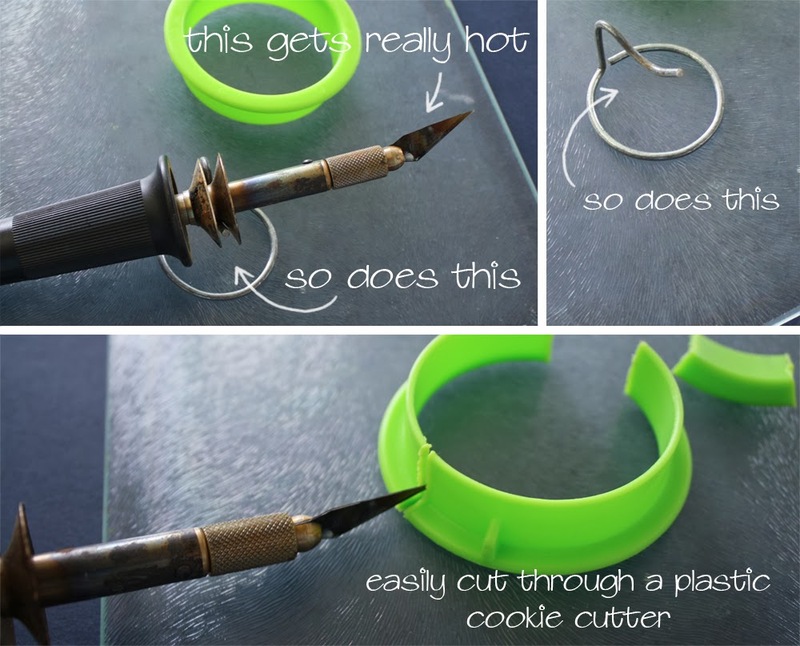 If you don't have this cutter that's okay because you can use these same ideas to cut lots of faces from cupcake and ice cream cookie cutters too. 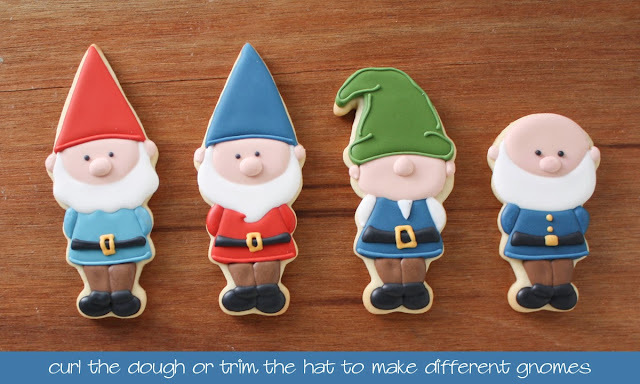 One easy way to make different hats is to gently curl the dough before it's baked. 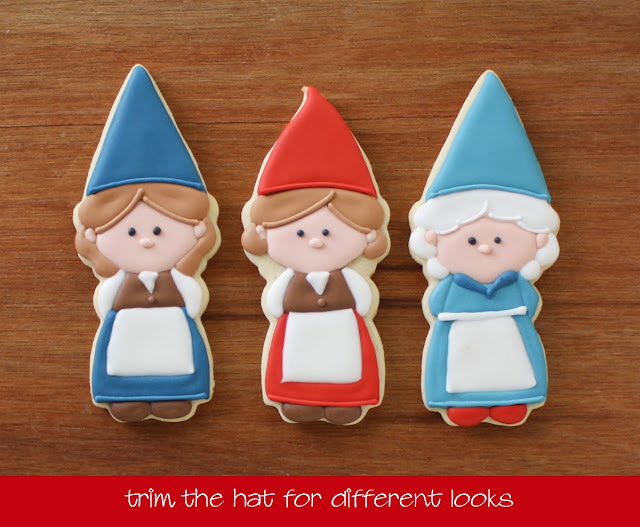 Once you've transferred the cut cookie to the baking sheet carefully lift the point of the hat and curl it to one side. If the dough is too cold or too dry it may crack but that's easily fixed by patting the edge with your finger. A moon cutter is good for easily cutting a nice smooth round. 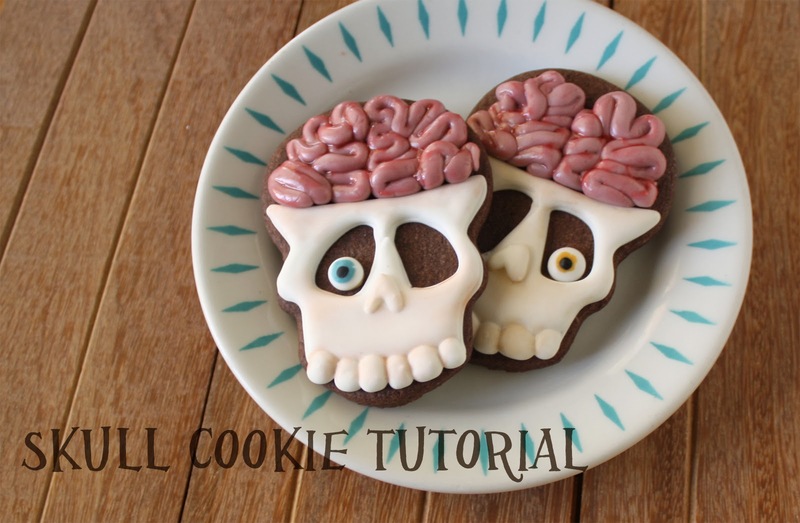 If you tried to cut this with a full circle you would end up cutting off the sides of the cookie as well but the half circle easily removes just the square without messing up the rest. There are many other common cutters that can be used to cut away the shape in interesting ways. A holly cookie cutter is a must have for this kind of cutting. 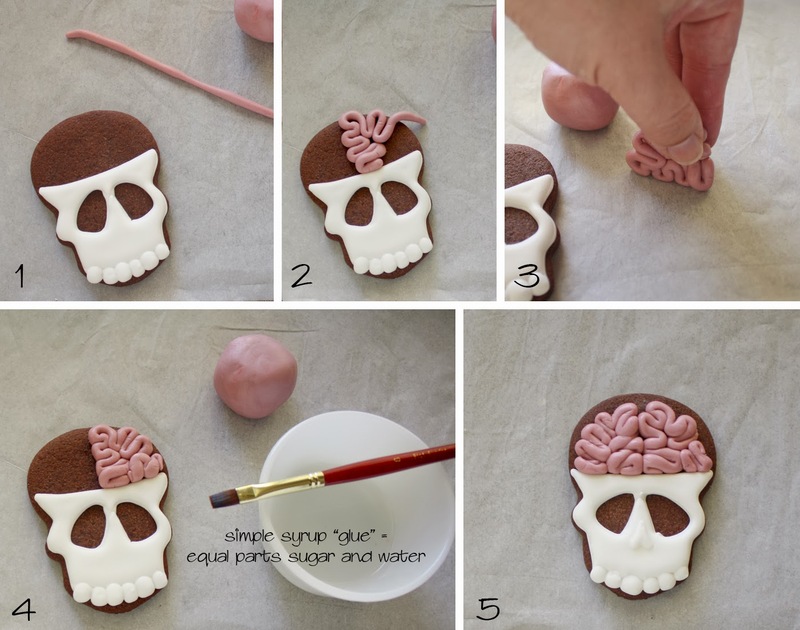 I particularly like the holly cutters because they have a variety of half circles and you can make many different cuts like I did with these easy painted flower cookies. Bat cutters are also great because of all the little points and curves. I used them to cut a hair bow but it could also be cat ears or lil' devil horns too. 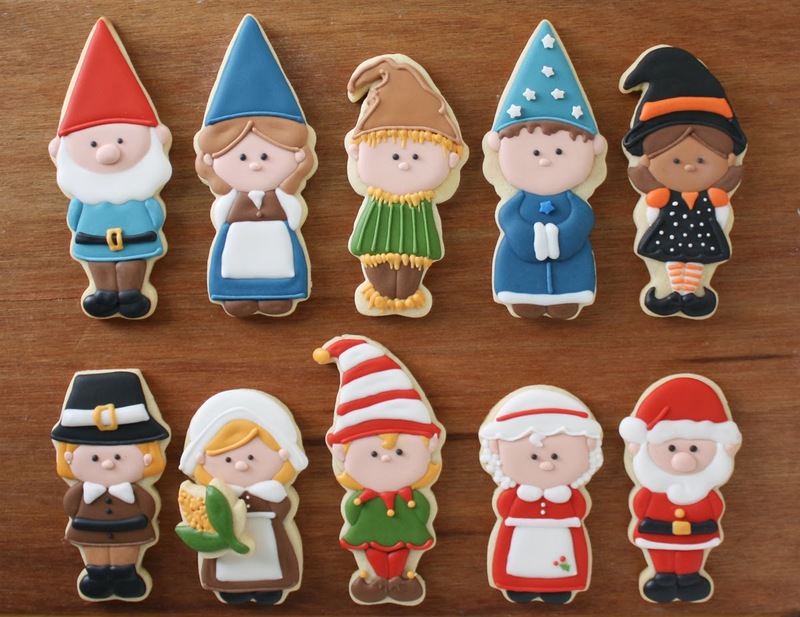 Now I'll admit I own a lot of cookie cutters and still every season I have to check the new ones in the stores. Plus I pick up so many of them at garage sales and thrift stores just to get that ONE in the bag I really want. If you're anything like me you have a lot of duplicate cutters and I have a great tip for how you can put them to use! 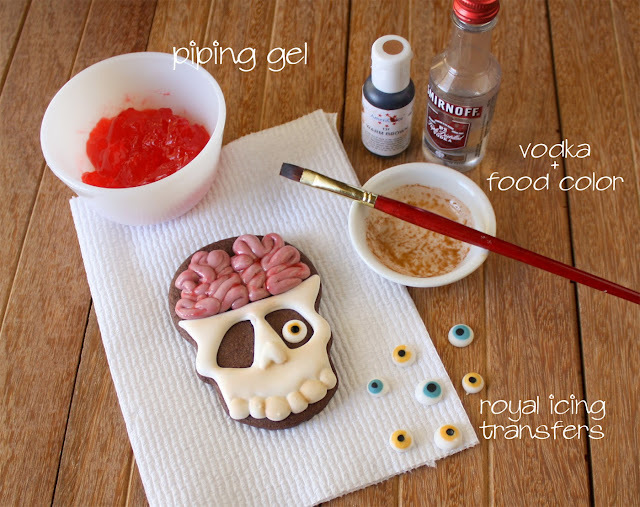 You'll need a heat tool for this and some spare plastic cookie cutters. The tool should come with a thin craft blade. 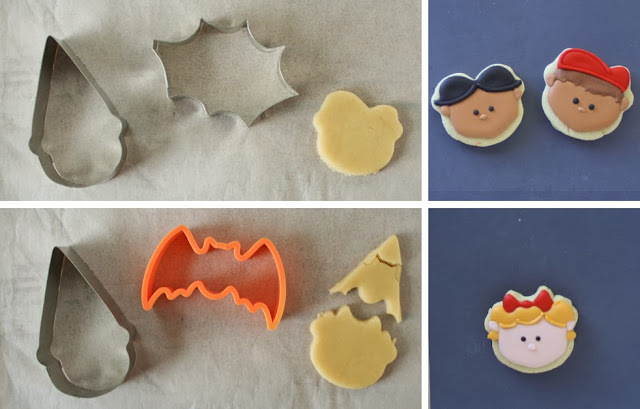 Let it heat up and you can cut right through your plastic cookie cutters like butter! Please be careful when using the hobby tool. Not only does the tip get burning hot (obviously) but so does the stand and the cuff where the tool rests. It's really easy to forget and burn your forearm when reaching across the tool or touch the stand after you pick up the tool. Melted plastic also smells awful so be sure to use good ventilation. If you don't have a good moon cutter for cutting a nice round head then cut a spare circle cutter into pieces. You can get a couple different curves from the same circle depending on how you chop it up. I should warn you that once you start looking for useful pieces you can cut off of extra cookie cutters you might get carried away. The top of this bell cutter makes a great stocking cap. That little nub would be a pain to hand cut but it's a breeze with this little shape. I got double duty out of this spare tulip because both ends are interesting. This set of circles from Walmart would be a great one to cut into pieces because not only are they cheap but one side is scalloped so you can cut a curly head easily! Once you get going with these little guys the possibilities are endless. Go dig through your spare cutters and I'll bet you'll find all kinds of cuties looking to get out! 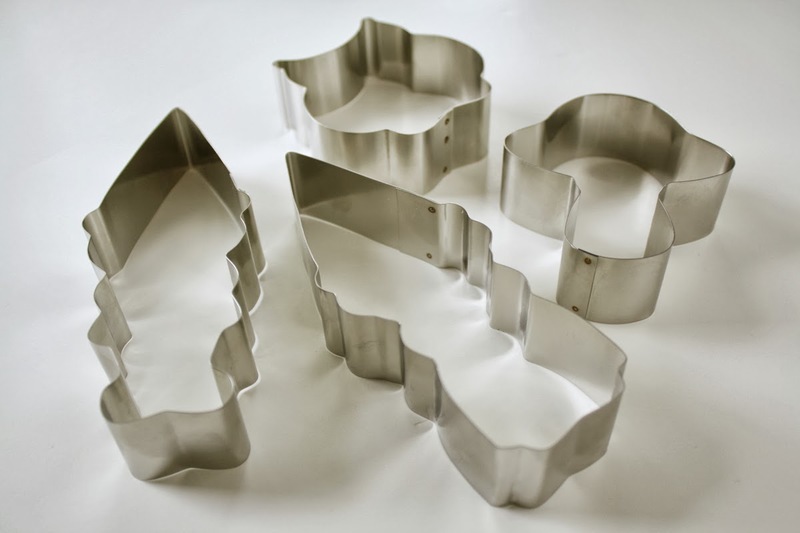 All the cutters are handmade by me in my home studio. They are stainless steel so they shouldn't tarnish or rust. I can make them pretty quickly but still these are "limited edition" in the sense that I can only make so many at a time. Hopefully these little fellows represent just the beginning of my line and there will be many fun things to come. This jaunty boy gnome is 5.5 inches tall, and while that may be a tad big I designed him especially to have this big ol' hat so you could easily adapt him into lots of other characters. If you gently curl the unbaked dough you can give him a totally different look. Or trim the hat off entirely. 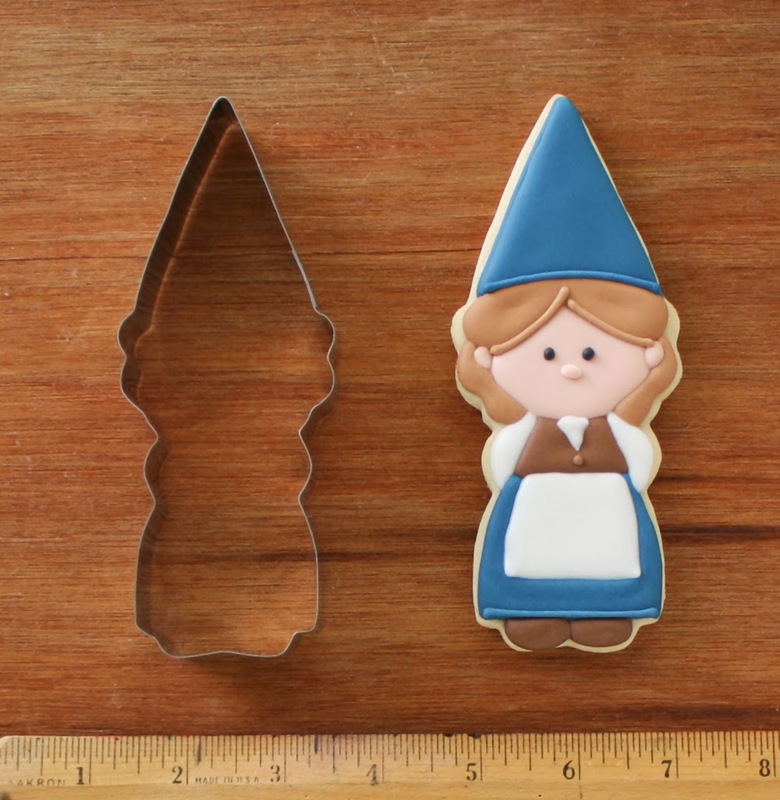 Here's the lady gnome cookie cutter to match. She's the same size and width of course so they can go together. Sometimes girl gnomes have a little smaller cap then the boy and that's easy to do if you just trim the shape a bit. You can get so many fun little guys out of these cutters. 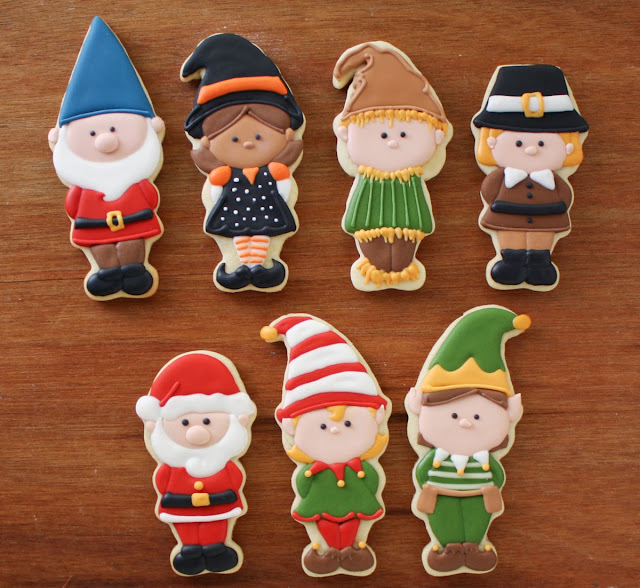 When I was designing them I wanted a cutter that could easily work for all the fall holidays. To push your creativity don't think of one just as a "boy" and the other as a "girl". The short coat on the boy gnome is also a little girl's dress. The long dress on the girl can be a cloak or a coat for wizards and clowns! 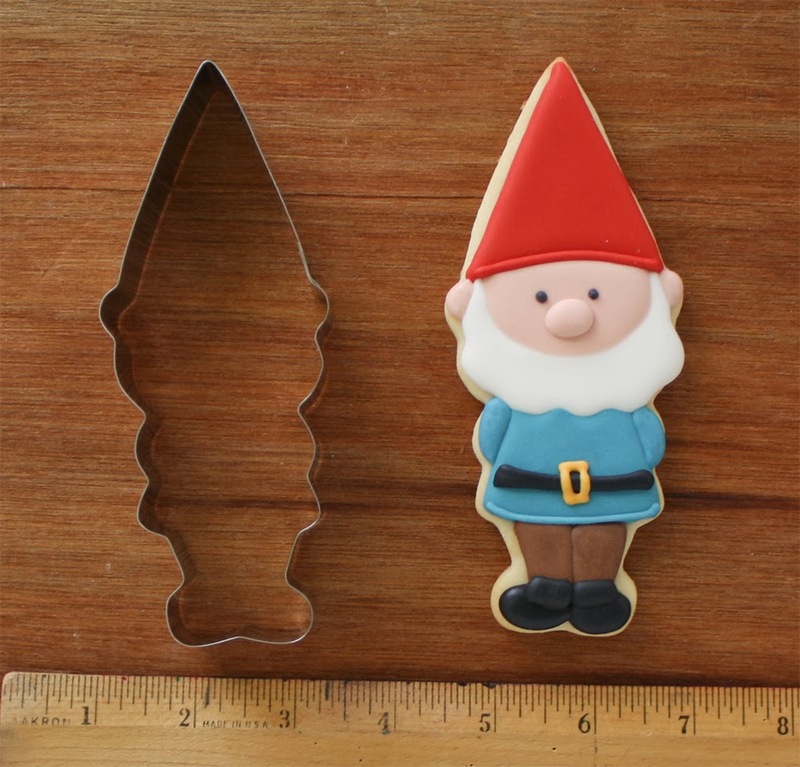 And a mushroom cutter to round out a woodland cookie platter! To say this is all a huge learning curve for me would be a massive understatement. I hapily welcome any feedback you can give me! I will be posting tutorials for using the cutters over the next week as well as a really good way of easily cutting a whole bunch of different hats so stay tuned! My Etsy Store - If the cutters happen to be out of stock just know that I will be super happy about that and hard at work restocking.